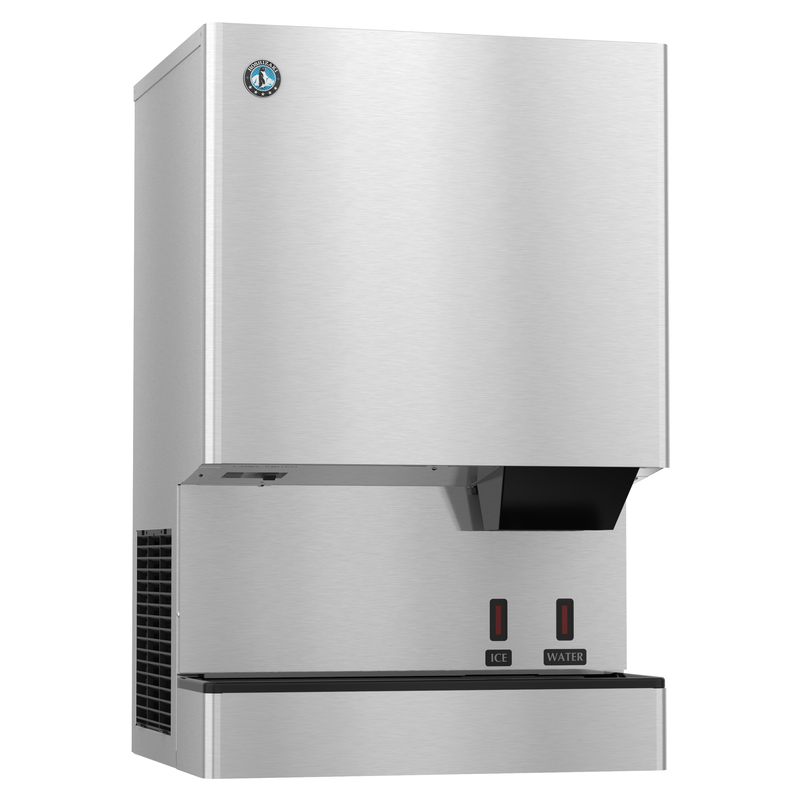 The DCM-500BAH-OS is capable of producing approximately 618 lbs of Cubelet nugget-style ice cubes per day, The built-in storage bin will hold up to 40 lbs of ice* at a time. This Air-cooled icemaker has an LED remote sensor for hands-free operation with opaque containers. This sanitary icemaker/dispenser features a user-friendly dispensing mechanism that allows easy to chew, cubelet ice to be dispensed with a simple push of a button. This model features CleanCycle12™ – Every 12 hrs, it performs 15 min purge to clean itself and it is Protected by H-GUARD Plus Antimicrobial Agent. The sanitary dispenser design keeps ice fully contained until it is needed, minimizing the opportunity for cross-contamination and keeping your ice clean. Keep your kitchen running smoothly with this Cubelet Ice and Water Dispenser. Stand not included. *Rated in accordance with AHRI Standard 820(I-P). Capacity based on 100% of total volume x 30 lb/ft3 average density of ice.